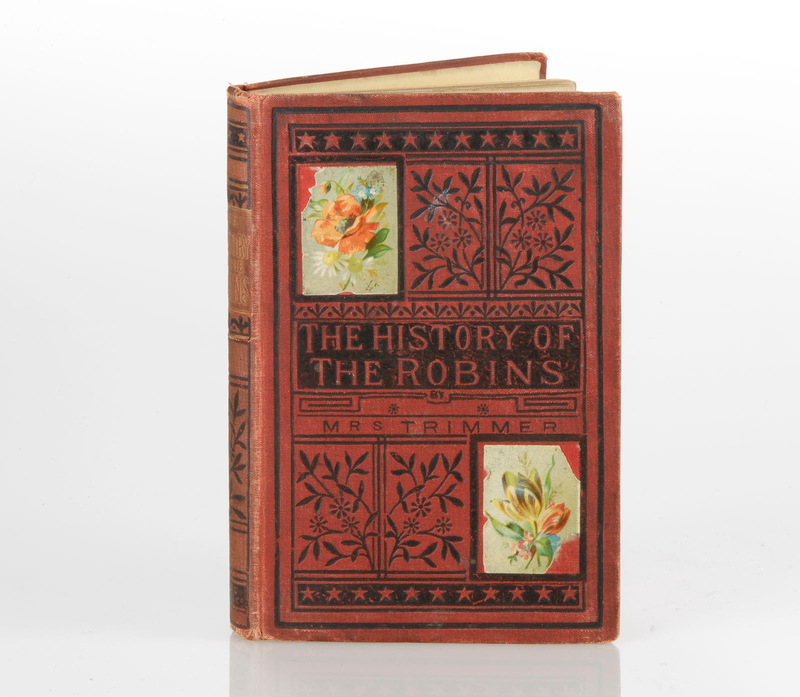 Sarah Trimmer’s Fabulous Histories: The History of the Robins for the Instruction of Children on Their Treatment of Animals has an enduring legacy. 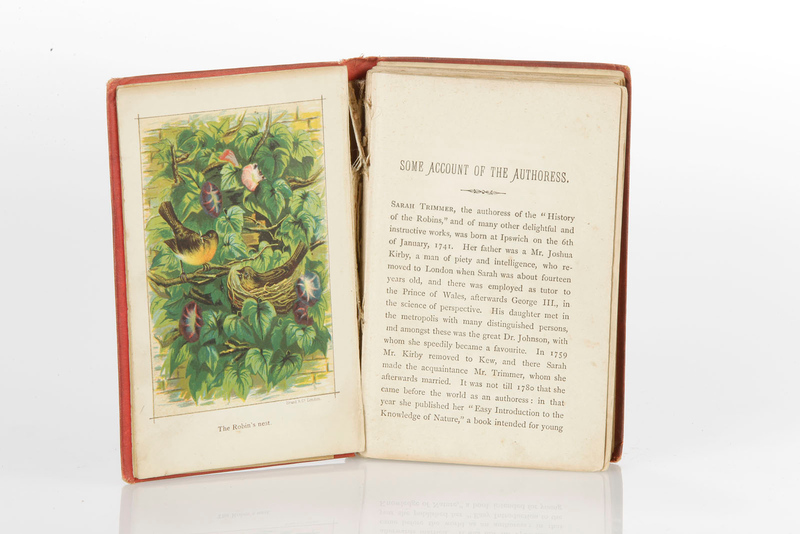 It was first published in 1786 and was reprinted and republished numerous times, including several editions during the time period focused on in this exhibit. This book is also currently available in digitized form. The History of the Robins by Sarah Trimmer. Collection of the National Museum of Animals & Society.